Pizza is one of my very favorite foods as it is for many people. Actually, I don’t know a soul that doesn’t love pizza! And, with so many kinds to choose from, I can see why it is one the most loved foods around. But, did you know you can make this tasty delight at home! You can! 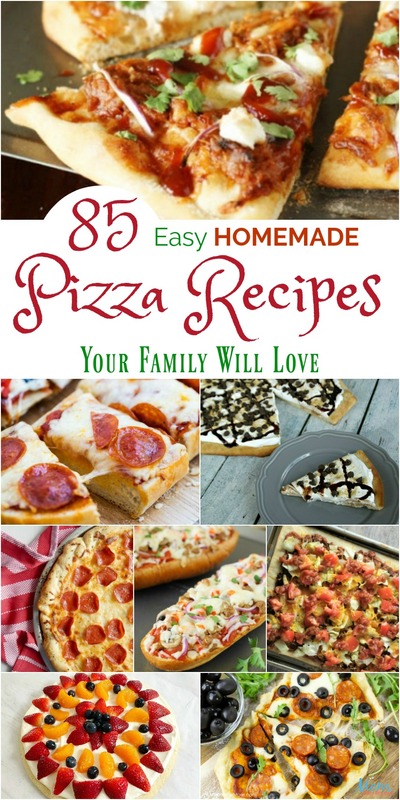 Take a look at these 85 Easy Homemade Pizza Recipes below. There is something for everyone and your family is going to love them! 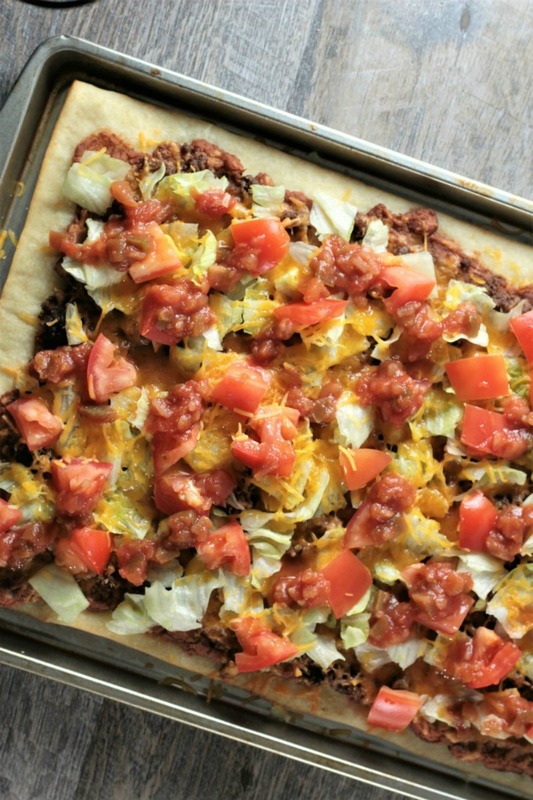 One of my favorite pizzas is Taco Pizza and this Super Easy Taco Pizza from Mindy’s Cooking Obsession makes it extremely quick and easy to have homemade any time you want one! This delicious pizza features pre-made crust, refried beans, seasoned ground beef, cheese, lettuce, tomatoes, and salsa. It is, as the name implies, super easy! Your family will be asking for seconds! BBQ lovers will delight in this delicious Sweet & Spicy Pulled Pork BBQ Pizza from The Kitchen is My Playground! 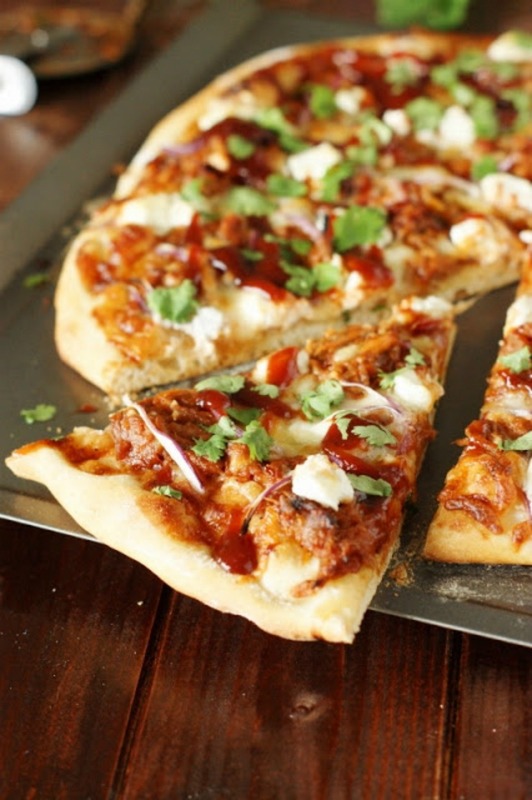 This yummy pizza is loaded with sweet-and-spicy pulled pork BBQ, red onion, mozzarella, and goat cheese and topped off with a sprinkling of fresh cilantro. It is a pizza flavor combination that is truly out-of-this-world good! 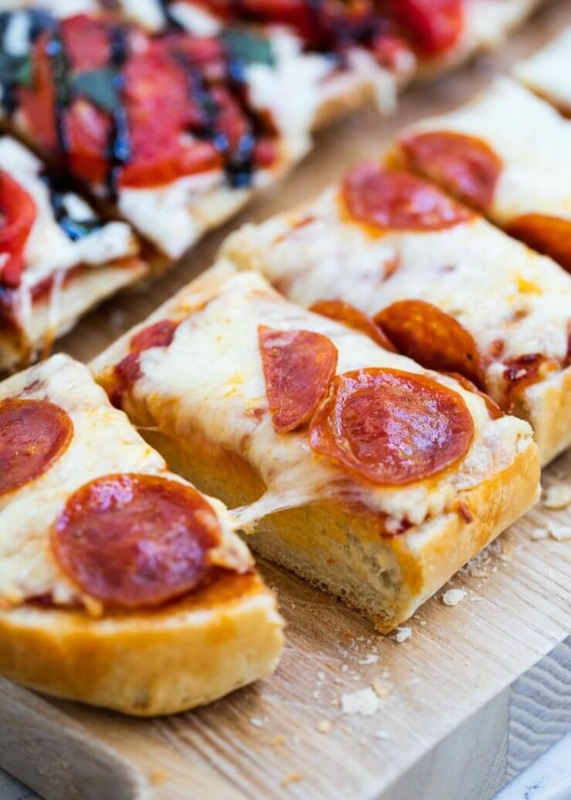 For a fun spin on pizza, this Homemade Garlic French Bread Pizza from I Heart Naptime is perfect! It is super easy and oh so delicious! In addition, it is easy to customize with all your favorite toppings! You can customize each half, or cut into fourths, then top each section different to make everyone happy. Who says pizza can’t be dessert?! 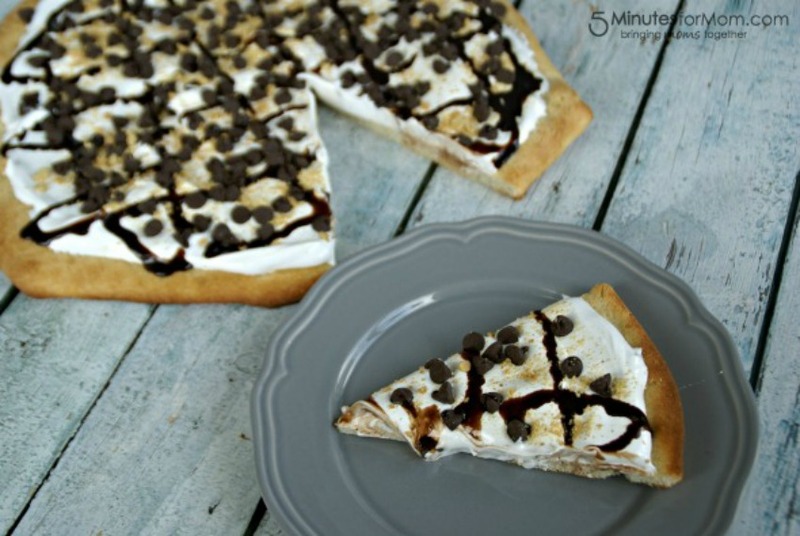 This decadent Smores Dessert Pizza from 5 Minutes for Mom will have everyone wanting dessert first! With gooey marshmallow and scrumptious chocolate, it makes the perfect dessert or anytime treat! And, don’t be intimidated by it’s good looks! It is extremely easy to make! Your Family will love these EASY Homemade Pizza Recipes!